After a very, very busy year (when it comes to travelling), the trip to the Philippines appears to be the last international trip of 2018. The gallery shows the images of Baguio and Manila. 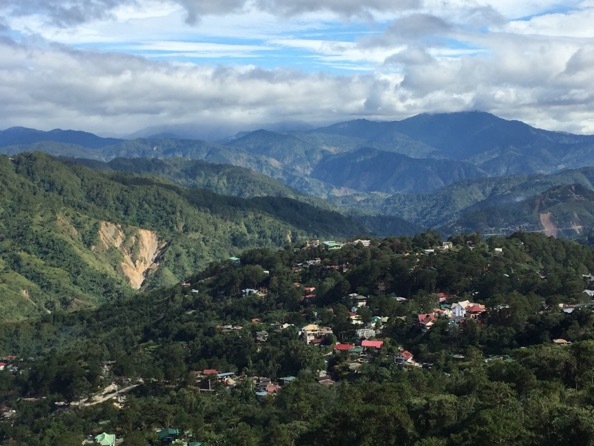 The visit to Baguio was related to my visit of the post-typhoon recovery projects that my organisation supports. Then a trip to Manila involves a free weekend off (with some sightseeing)… and meetings with colleagues on workplaces for 2019! September and October 2018 was very kind to me, when it comes to spending time with people that are important to me. First, I visited Tahir & friends in Toronto, then met with very dear friends of mine in Jakarta, after that in Warsaw, then with wonderful friends in Brussels, and finally I spend some time with Mum and my dear Polish neighbours in Obidos. If this was not enough, I am going to meet a wonderful friend from my high school in Singapore next weekend! Spending time with friends and family is even more precious, when one visits beautiful places. Portugal and Spain are definitely some of the nicest countries on the planet, and there is no doubt that touring the sites with Mum and friends was very special. Look up this link to have a glimpse of what we have seen and experienced. Please note that pictures in this gallery may be found disturbing or graphic to some viewers, as they present extreme destruction and humanitarian suffering. On 28th September 2018, in the evening hours, Central Sulawesi of Indonesia was struck by the earthquake of 7.7 magnitude RS. The earthquake caused massive destruction in the City of Palu, and triggered a strong tsunami, as well as mudslides and phenomenon called ‘soil liquefaction’ across City of Palu, Sigu and in costal areas of Dongala. The Palu disaster follows the devastating earthquake that had hit the island of Lombok three months earlier. This gallery shows images of the destruction and humanitarian response to both of the crises (Palu and Lombok). At the time of writing, the official figures suggest that at least 5,000 lost their lives and thousands people got injured (Sulawesi). However, it is clear that the number of people will increase dramatically, as more excavations are done. We all fear that the death toll could exceed 20,000 people. The calamities caused apocalyptic destruction with ten of thousands houses being turned into rubble. Roads, electricity, water networks, hospitals, schools, shops, hotels are all destroyed or damaged. 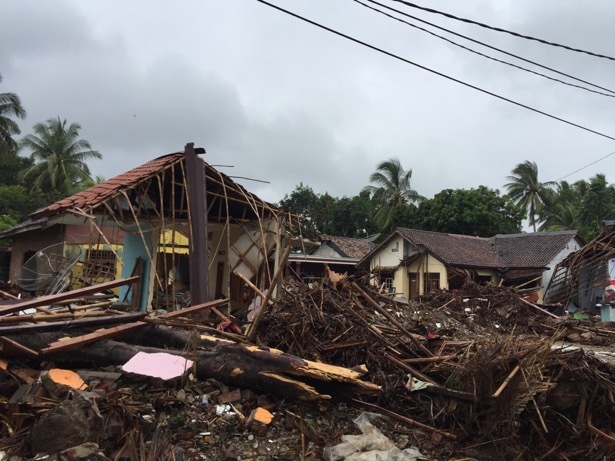 The disaster has brought many people within Indonesia and some from outside of the country joining hands to help those surviving the disaster. But what is the most impressive is the solidarity and self-support of the families that survived themselves. People just do whatever they can to help one another - thus trying to cope with the loss of their loved ones or their possessions. This gallery of pictures is a tribute to victims and survivors of this terrible tragedy, and to those doing whatever they can to help. You can view pictures, by clicking this link. After years of waiting, the dream of seeing Tahir as a free man comes true. Tahir is in Canada, legal, free of fear, able to build his own life. This gallery of pictures shows my visit to Canada, my visit to his new beginnings. Click here to view the gallery. A short day in Krakow on the way to Toronto. Spending time with Mama was wonderful. We chatted, laughed, had good food and walked endlessly. See it for yourself! Six months after the cyclone Gita devastated the nation of Tonga, it is time to visit the nation - as well as Fiji to learn how the communities recovered from the disaster. Explore the pictures from Hong Kong, Fiji and Tonga to learn about the trip to this fascinating part of the world. Archives: Ko Chang for the last time? We made it to Koh Chang with Tahir and his friend Shazi... I came here with an expectation to rest, after exhausting month at work. But, while we were in Koh Change, we received a message from the Canadian authorities saying that the decision for his resettlement to Canada has been taken. A frustrating part is that we do not know what the decision is... They will communicate it to Tahir within next few days... Needless to say, how stressful we are... And perhaps, it is the last holiday together in Thailand? Enjoy the pictures and view them by clicking at this link. Monsoon rains are arriving to Bangladesh. While rains are a blessing to farmers in many parts of the country, they are a real curse to the Rohingya refugees of Myanmar, who found refuge in the southern region of Bangladesh, around Cox’s Bazar. The area is home to the largest refugee camp in the world, often referred to as ‘The Magacamp of Kutupalong’, where some 600,000 people live. There are smaller camps in its vicinity too, bringing the total population of refugees in this tiny part of Bangladesh to around 1 million. While the people of Bangladesh are very hospitable, accommodating to their guests and always happy to lend the helping hand to the their guests, the mother nature is far less favourable. The camps are located among steep hills, which are mainly composed of sands. These areas are completely inappropriate for building any kind of residential infrastructure, let alone shelters for one million people! The main worry is that the heavy rains cause hills slide, valleys flood: which is a source of a grave danger to safety of people living there. The risks are not only related to immediate danger to body integrity (especially being buried in landslides), but also to public health issues. Flooding in the area with little and poor sanitation infrastructure, with poor access to potable water, in the area that is severely overcrowded makes the people extremely vulnerable to water-borne diseases, such as cholera, or diseases such as malaria or hepatitis A (and many, many others). Rains and muddy road also make it so much more challenging to bring supplies. Getting food, medicines, or anything else becomes a logistical nightmare! So the race with time continues. Refugees and aid agencies of all sorts try prepare to minimise the effects of the disaster that will strike on many fronts. Reinforcing houses, levelling hills, building flood protection trenches, reinforcing mud roads, moving people to safer grounds, stocking up on medicines, vaccinating people, making latrines safer… The tasks are overwhelming, and we will clearly not be ready - however hard we try - we are just out of time already. However, as the struggle continues, the hope carries on too. I salute the refugees, countless Bangladesh communities of Cox’s Bazar and countless number of aid workers trying to get ready for the emergency to come! Please look at the pictures here to admire their work and the beauty (yes, I insist saying - BEAUTY) of the camps! April 2018 is marked with a visit to Óbidos in Portugal, a small town in central-western part of the country. As you may know, Óbidos has become my adopted home - the European base of mine, in addition to my native Nowy Sacz of Poland. The pictures in this gallery show my journey through the town itself and through places around it. Moving in to Óbidos motivates me to learn about my adopted country, which turns out to be wonderfully pretty and friendly indeed. Check out yourself by watching the pictures in this gallery. While travelling to Lisbon (and from Lisbon), I had a chance to explore a bit of Vienna. Vienna, and Austria in general is close to my heart, as this is where my father was born during the 2nd World War. As usually, Vienna does not disappoint. It is just a wonderful city that is so worth visiting! Beginning of March brought a long weekend for us in Thailand. Together with Tahir, and some other friends, we decided to visit a new place: Sukhothai and its vicinity. Sukhothai is around 400 km north of Bangkok and is primarily known for its ancient town (which is also on the UNESCO World Heritage List). The place turned out to be magical and definitely has become my favourite in Thailand. Except beautiful architecture, there is also some stunning nature too! Judge it on your own, by visiting this gallery. The Pacific is incredible in so many various ways. People are warm, hospitable, and live their lives as if tomorrow never existed. The countries in the region are of exceptional beauty, which many of us tend to associate with ‘paradise on earth’. Yet, the islands of the Pacific are frequently ravaged with powerful storms and cyclones, which can destroy literally everything on their ways and pose a real threat to people’s well being and frequently their very existence. In February 2018, a very powerful cyclone, referred to as Gita hit the islands of Tongatapu and 'Eua in the Kingdom of Tonga. As it became clear that the scale of devastation was going to be big, I was sent to the region to help bringing humanitarian needs that the disaster brought to the country. The gallery (click for link here) shows the images from the trip: You will be able to catch some glimpses of Tonga - its beauty, but also the destruction that the calamity has brought to its people, nature and infrastructure; and also Suva of Fiji, and Sydney of Australia - the two places that I visited on the way to and from Tonga. Felt really happy to see mum visiting us in Thailand. Together with my Icelandic friends, and Tahir, we had a wonderful time having mum in the country. Here are some pictures from this special time together! Christmas 2017 was a busy period for the humanitarian aid agencies working in the southern part of the Philippines. The rather weak tropical storm, referred to as the Typhoon Temblin brought an unusually high amount of rainfall. This in turn, cause massive destruction of communities. Flash floods and widespread mudslides devastated and in some cases wiped out entire villages and communities. Hundreds of people lost their lives and around half a million were affected in one or another way, with thousands and thousands losing their houses. The situation is even more complicated, given that the catastrophe took place in areas and vicinities of Marawi, where an active conflict and displacement due to the conflict still is ongoing. Here are some of the pictures from the assessment mission and rapid response mission from the place. As we celebrate Christmas, please consider supporting people who may have suffered. Donating to the Red Cross, or to Action Against Hunger: the organisations that do an amazing work to provide the most needed relief to the victims of this calamity! Just at the outskirts of Bangkok, there is an amazing park, where one can admire replicas of the most important Thai architectural wonders. Here are some pictures from a day in this amazing park, referred to as ‘Ancient City’. Some of the pictures were taken by Tahir. In addition, you may find some information from the ‘Ancient City’ at this official link of the ethnographical museum. Sadly in November 2017, my Dad passed away. Clearly, this was a very sad and traumatic experience for the family. In order to honour Papa, and spend time together with Mom, we decided to go for a retreat to Karpacz in western Poland. We also made some side trips to towns in the Czech Republic and Germany. Here are some pictures from the trip. Many would not consider Dhaka, the capital of Bangladesh to be a nice city. It may be huge, overwhelming and can definitely be messy. This being written, I find this megacity to be full of character and positive vibe. Here are some pictures of Dhaka from my recent walk around the city. Enjoy! In November 2017, I had a chance to visit Bangladesh again. Given my line of work, and the ongoing humanitarian crisis happening in Myanmar and Bangladesh, the main focus of the visit was visiting the Rohingya refugee camps in southern part of Bangladesh (Cox’s Bazar area). The refugee crisis in Bangladesh is one of the most significant one that the humanity faces in 2017. The challenges are complex and overwhelming. All of us need to do much, much more to deliver, or not to disappoint those who need our attention. Here are the links to the pictures from the camps, and here are the pictures from the helicopter ride from Cox’s Bazar to Dhaka. So I had a chance to go to Sri Lanka for the second time. This time, I went there to participate in a training, but also, had a chance to have a weekend off - a great opportunity to celebrate my birthday. Sri Lanka truly is a paradise, and I am very happy to have had a chance to visit again. Here are some pictures that you can see. A short visit to Europe to visit family in Nowy Sacz, but also my new house in Obidos. Also, making a short stopover in Helsinki and Poprad. Then a fast visit to Brussels. Finland, Poland, Slovakia, Portugal and Belgium in one go… See the pictures from the trip in this link (gallery will be updated constantly until the end of October). September in Mongolia is special. It is not very cold yet, and it is still green and colourful - as autumn keeps on painting the leaves of trees in various colours. This gallery shows some pictures from Ulaanbaatar and places in the eastern part of the country - during my professional trip there. I indeed had a wonderful time! As Tahir, my fostered younger brother is not allowed to move out of Thailand (his refugee status is not allowing him travelling out of the country at the moment), we are trying to ‘beat time’, by exploring various parts of Thailand during the weekends. Travelling the country (often off the beaten track) proves to be a wonderful way of learning the beauties of Thailand. This gallery keeps on expanding, as I add pictures there once a week. Do visit regularly, if you enjoy it! The ongoing war (started in May 2017) in Marawi in southern parts of the Philippines has forced a staggering 400,000 flee to northern parts of Mindanao Island. The gallery shows some images of the lives of the those who have fled the conflict. A really nice and relaxing weekend with Tahir in eastern side of Bangkok. Celebrating the arrival of 2017’s summer in the canals of this amazing city. Lots of wonderful colours, buildings and nature! A hectic but wonderful visit to Brussels and Nowy Sacz. Wonderful to visit familiar places and spend time with people that I love. Some few pictures from the visit can be found here. Archives: Settling in Portugal: next step is achieved! April 2016 has brought my plans of settling in Portugal permanently a little bit closer. Together with my friend Kate, we travelled around Obidos area looked at around 15 properties, with an intention of choosing one for purchase, so that we can establish our future home there. The mission was very successful, as we found a place in the centre of the town of Obidos, which we would like to buy. Now, we are negotiating the price, and talking to the banks. If all goes according to a plan, we should be able to sign a contract and start moving there really soon. The gallery presents some pictures of the house that we found, but also shows the beauty of Obidos, and the surroundings of the town. Enjoy viewing! As persecution of Rohingya people in Myanmar intensifies, more and more flee the country. The majority of the Rohingya, due to the geographical proximity, end up in Bangladesh. This gallery presents some pictures of how the refugee camps for the Rohingya look like in Cox’s Bazar District of Bangladesh. Although, the life in the camps is very tough, it is good to remember that Bangladesh is a poor country, and it is important to recognise that the country and the society should only be praised for extending a welcoming hand to those who need to flee their own country. I only wished that may native Poland was as accommodating in helping those in need! Here is a link to the gallery. Together with Paula and Tahir, and some other friends that came to visit from Canada and France, we went for a day to explore Bangkok’s eastern neighbourhoods. Canals, floating markets, endless amount of temples. Lots of charm. Check out the pictures yourselves! 2016 has definitely been an exhausting year, and somehow humbling. The end of it is bringing some time off, and time for reflection. As I travel around southern Thailand and parts of Poland, some very disturbing news keep on coming from Jordan, Turkey, Russia, Switzerland, Germany and indeed my native Poland. I wished that at least the end of December is ‘less exciting’, but I guess it is not meant to be. At least, my break appears to be ‘more traditional’ and allows for some relaxation and happy chats with people that are important to me! October 2016 has brought a new wave of violence in Myanmar. As a result thousand of oppressed and persecuted Rohingyas have fled the trouble region of Rakhine (Myanmar) to Bangadesh’s Cox’s Bazar. This gallery shows some pictures from various parts of this region of Bangladesh, where the refugees are. Last summer, I had a chance to visit Ulaanbaatar and southern part of Mongolia again. It was amazing to admire the country during the warmer part of the year. It does look very different from what I am used to in the winter. End of September brought me to Norway’s south. I went there to participate in a simulation exercise, which was supposed to prepare us to provide a humanitarian response to a natural catastrophe. Together with 400 people from various organisations form across the world, we exercised to responding to a typhoon… While in Norway, between trains, busses and planes, I did manage some sightseeing too. Please enjoy the pictures! August 2016 has brought me to Sri Lanka. Without doubts, I think it is one of the nicest countries that I have ever visited! Just look at the pictures yourself! Very lucky to have had a five days-long weekend. It would have been wrong not to travel… We went to Erawan and Sai Yok national parks in Kachananburi region of western Thailand. Stunning: have a look! A few pictures from a short spring trip to Poland and Finland, which I had in June 2016. I met some really nice people there, and had lots of fun. Enjoy these pictures of northern Europe in spring! Khau Yai National Park in Thailand has made it to the UNESCO Heritage list, and no wonder this is a case. The fauna and flora, and the landscapes of the park are unique. When combined with the beautiful architecture, then one has no doubt that UNESCO is right to declare this beautiful place to be under its special protection. Enjoy the pictures! April 2016 has given me a chance to visit me Australia twice. During the Thai New New Year, I was lucky to go and visit Brisbane and Sydney. Not only that I managed to get to know new places, I also met many of my old, good friends! Here are some pictures from the visit! As severe droughts caused by El Nino has hit countries of South-East Asia, I travelled to Timor-Leste to check on their consequences on lives of the people of the country. While travelling to Dili, Timor-Leste’s capital, I had a stop over in Australia’s Darwin. Here are some pictures from this trip. Winter/early spring holidays of 2016 brought me to Dubai, and quite a few places in Portugal. I really had an amazing time exploring the unknown of the UAE’s largest city, and indeed many new places of Portugal - the country that is becoming my new home. Here you can view pictures from Dubai, and here are pictures of Portugal. Mongolia is a very cold place during winters. This album shows some of my own pictures from the country, but also pictures of my colleagues. All capture the severe beauty of this amazing country. October and November in a sun in Europe is magnificent. My visit to Spain and Poland once again taught me how beautiful Europe can be during autumn. Well, see it for yourself! The conflict in the southern part of the Philippines still forces many people out of homes. This album includes some pictures from one of the camps for the displaced that I visited in August 2015. The summer of 2015 proved to be one of the hottest on record. The temperatures in southern and eastern Poland kept on reaching 37 degrees Celsius, thus making temperatures to be as in tropical countries of the world. Climate change in the making, one could say… The only good thing is that holidays in this kind of weather are always pleasant! See the pictures for yourself! As I prepare for my Spanish B2 exam, I find it important to visit places, where Spanish is spoken, so that I can practise the language. Learning Spanish has brought me to a beautiful island of Gran Canaria. A friendly place to visit. I had a chance to visit Pyongyang and its vicinities in May 2015. Visiting DPRK was certainly exciting. Here are some pictures from the trip. I had a great chance to visit Poland in May 2015. Spring is a great time to visit the country, and I enjoyed it tremendously. Here are some pictures from Nowy Sacz and its vicinities.